Pinocchio, a puppet created by woodcarver Geppetto, goes on a quest to become a real boy with the help of Jiminy Cricket. This 1940 Disney animated classic returns in a new Blu-ray edition. While it has been released on Blu-ray before, this is the first presentation on Digital HD. Per usual, the video and audio are nothing short of perfection. For those who already own this treasure, the only reasons to purchase this latest edition are the Digital HD and a few new bonus features. The most notable is a restored Oswald The Lucky Rabbit cartoon. "Poor Papa" was the first Oswald short created by Walt Disney in 1927. Any true Disney collector should add this delightful cartoon to their collection. Also included are featurettes on story meetings for Pleasure Island, Walt's reminiscences of the making of "Pinocchio", a new music video/making-of segment for "When You Wish Upon A Star" and several extras that were included on the previous Blu-ray release. If you don't already own this gem, add this spectacular new edition to your wish list. The adventures of young orphan Pete (Oakes Fegley) and his protective dragon after they are discovered in the Pacific Northwest woods. There's much to like about this stunning new Blu-ray that closely matches the theatrical experience. Besides the entertaining main feature, several extras are included. Director David Lowery narrates his personal diary of the film's making and shares a montage of "lost" scenes. There's also a feature on designing the dragon, music videos (one by The Lumineers), bloopers and more. This home video edition is beastly fun for everyone. See movie review here. in this magnificent Blu-ray release of the magical theatrical feature. As usual, the video and audio meet Disney's highest standards. There are bonuses to delight in. "The Big Friendly Giant and Me" is a short film about the BFG and his friendship with the little "bean" in Giant Country before Sophie. Star Ruby Barnhill hosts a look at the making of the movie. Pieces on the strange vocabulary of the BFG, the other giant inhabitants and the late screenwriter Melissa Mathison are also included. All in all, a huge treat. See movie review here. The forgetful blue tang fish Dory (the voice of Ellen DeGeneres) searches for her parents in this animated sequel to "Finding Nemo". Dory finds her way onto Blu-ray in a visually sumptuous presentation with audio to match. A plentiful supply of extras compliments the main feature. The delightful theatrical animated short "Piper" about a baby bird battling ocean waves to get food and a new mini short called "Marine Life Interviews" with Institute inhabitants remembering Dory are included in the bonuses. Also, there are many background and behind-the-scenes featurettes covering all aspects of the movie, deleted scenes, trailers and much more. Providing hours of entertainment for the entire family, this home video is the catch of the day. See movie review here. 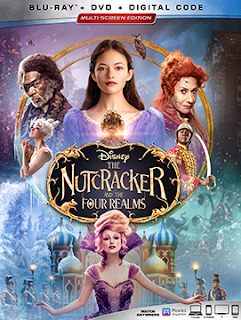 Alice (Mia Wasikowska) returns to the mysterious land to save the Mad Hatter (Johnny Depp). This colorful adventure is a treat for the eyes and ears in Blu-ray high definition. There are a wealth of extras to supplement the movie. Background features on the film's creation, characters and costumes provide informative entertainment. A delightful interview with Time (Sacha Baron Cohen), Pink's "Just Like Fire" music video and a look at the making of this music video add to the fun. Audio commentary by director James Bobin, deleted scenes and more help make this a pretty full and wondrous disc. See movie review here. A rift between Captain America (Chris Evans) and Iron Man (Robert Downey Jr.) breaks the Avengers into two warring factions. Released in a few editions (including Blu-ray, DVD, Blu-ray 3D and Digital HD), this lush 1080p transfer delivers magnificent video and audio in true Disney fashion. There are a fair amount of extras to hold your interest. Among them are a 2-part in-depth look at the making of this film, profiles on Captain America and Iron Man, a gag reel, deleted and extended scenes, audio commentary from the directors and screenwriters and even a sneak peek at Marvel's DOCTOR STRANGE. There's nothing to complain about since the movie is the main attraction, but I wish Disney would have included the 3D Blu-ray to give me a more super viewing experience. See movie review here. Raised by wolves, man-cub Mowgli (Neel Sethi) must leave home when his life is endangered. 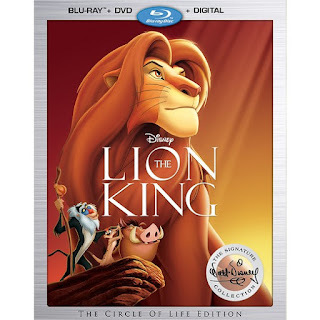 Disney's live-action version of their animated classic comes home in this visually breathtaking edition with equally dynamic audio. The movie alone makes this a worthwhile purchase, but the bonus features are the icing on the cake. "The Jungle Book Reimagined" takes a detailed look at the making of this film. "King Louie's Temple: Layer By Layer" reveals the creation of the sequence for the song "I Wan'na Be Like You" while "I Am Mowgli" profiles the young star Neel Sethi. An added attraction is the entertaining and informative audio commentary of director Jon Favreau. Like the python Kaa's hypnotic glance, "The Jungle Book" on Blu-ray is spellbinding. See movie review here. Rookie bunny cop Judy Hopps (the voice of Ginnifer Goodwin) and fugitive fox Nick Wilde (the voice of Jason Bateman) work to uncover a conspiracy in this Disney animated adventure. This outstanding Blu-ray does justice to one of the best, if not the best, animated films of the year. A flawless transfer, with vibrant colors and audio to match, is reason enough to purchase this release. For those who crave more, there are some fascinating bonus features. "Zoology: the Roundtables" takes an in-depth look at the movie with host Ginnifer Goodwin. "The Origin of an Animal Tale" is a documentary that follows the development of the story from the beginning. Other extras include segments on the filmmakers' globe-trotting research, hidden Easter Eggs in the movie, deleted characters and deleted scenes. It all adds up to more fun than a day at the zoo. See movie review here. Chris Pine and Eric Bana star in this fact-based story of a Coast Guard attempt to rescue a group of sailors stranded off the coast of Cape Cod during a storm. Outstanding video and audio highlight this Blu-ray presentation of the heroic real-life rescue mission, but it's strictly for fans of this type of adventure. The background bonus features are rather short, except for a 14 minute piece about rescue leader Bernie Webber. The other segments briefly include discussions about bonding on the set, the men involved in the actual event and the Coast Guard. There are also a couple of deleted scenes. 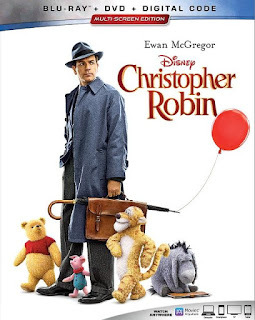 Like the home video edition of "Star Wars: The Force Awakens", the biggest thing missing is the 3D version - which made this movie more compelling. But even in 2D, "The Finest Hours" has its moments. See movie review here. A new evil disturbance in the Force meets resistance from Rey (Daisy Ridley), Finn (John Boyega) and Han Solo (Harrison Ford). Episode VII in the stellar series blasts its way onto home video with spectacular video and audio that mirrors the theatrical experience. For added enjoyment, there's a wealth of bonus features included. First and foremost is a fascinating full-length documentary on the making of this film. There are also several featurettes that focus on the visual effects, composer John Williams, the creation of BB-8 and new creatures, the lightsaber battle and even the Table Read. Another extra worth viewing is the deleted scenes - always nice seeing what doesn't make the cut. About the only thing missing is the 3D version, but that's supposedly coming later this year - adding depth to the Force and another disc for your video shelf. See movie review here.